Modern eclecticism is a style for lovers of travel and bringing all kinds of souvenirs from around the world, collectors and gatherers, creative people and just homeowners whose addiction in the style of the interior has not yet been identified or are so vast that it is difficult to allocate favorite one. The ability to mix in one style interior different directions makes it possible not only to get an extraordinary, personalized design space, but also to reflect in the environment your own hobbies, passions, lifestyle and way of thinking. Living room is the common room, which should be equipped and arranged, guided by the preferences and needs of all family members. 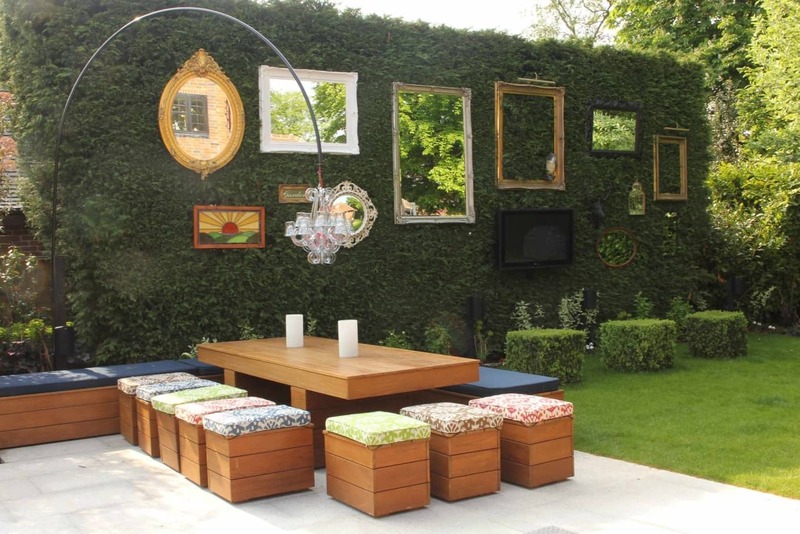 If a family has a common passion, it would be easier to reflect them in namely the living room. 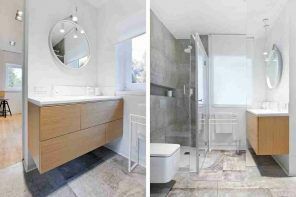 But by mixing different styles within its space, it is important not to overdo, do not lose your head and do not turn the room of a family holiday in the warehouse for antiques or collection of gizmos. We present to your judgment our little excursion into the world of unusual design projects of livings in the interior of which, one way or another, there are collectibles. 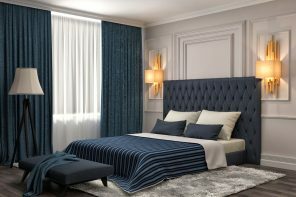 Of course, it is better and more practical to place the items that you can not hang on open shelves or racks, but it all depends on the particular layout of the room and its filling in terms of furniture. Vibrant, diverse, eclectic, unconventional: this interior can have a lot of epithets in its honor. Among a lot of interesting things and decor you will notice a soft zone and the original chair. Most harmoniously all collectibles will look at a blank neutral colored wall. And if your exhibits are enough bright and expressive, it`s better to choose the whole range of colors in the living in a quiet, bright color. In this living room the focal point of the interior, of course, is the area with open shelves for a memorable and expensive gizmos for the hosts. And the whole environment with warm, natural colors serves only the background and unpretentious place to relax. But there are alternative monochrome design of eclectic living room. The game of contrasts in the interior comes to the fore. Despite the abundance of dark colors, living room looks light and bright, thanks to the almost white surface finishes and an plenty of natural light from the large windows. Shelving for books and souvenirs can also be used as a screen, zoning the space. Bright finish on surfaces of a small living room and opened cabinet become an excellent backdrop for the bright decor elements. 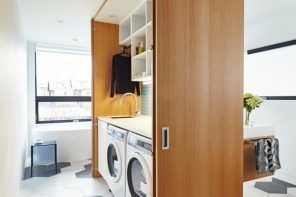 Opened shelves for storage of collections can be mounted on the wall for safety, if their mobility is not provided by the design concept of the living room. Living room with a collection of various items of interest should not necessarily be bright and flashy. Here is a version of the light, spacious room in an eclectic style with elements of country and modern. To meet the inoperative fireplace in the interior of a modern living room in eclectic style, which is located there exclusively from the aesthetic point of view is easy. But functional fireplace-stoves are found too in common rooms quite often. Even if the fireplace is electric or gas, it must be stylized as the construction, working exclusively from natural raw materials and giving real warmth. And among other things, mantelshelf is another surface for decoration items, located in the center of attention. The fact, that this snow-white living in the style of eclectic loft has a fireplace, is not immediately clear. Behind the bright artistic elements and live plants it is almost invisible, but it is obvious that fireplace design is an important feature of the room. 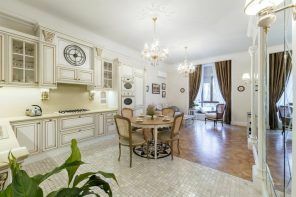 To connect in a harmonious atmosphere elements of such styles as modern, rustic country and rococo in this spacious living, is in possibility only for the creative person with a good sense of proportion, or a professional designer. In this living room with a mixture of modernistic and country elements fireplace fits more than organically. Contrasting colors, different textures and shapes are in harmony and accord. At the fireplace in the living room one looks in the least moment, it is a lot of interesting things to study are located as part of its interior. Such a variety of colors and shapes can only cope the light, neutral palette of the room. The spacious snow-white living room with a huge arched windows is literally flooded with light. In an amazing eclectic atmosphere ultra-modern chandelier is attached to the ceiling in the baroque style, huge, futuristic kind of sofa is adjacent to a garden chair. And the fireplace is a huge mirror in the old frame. Living room in a country house with high vaulted ceilings, furnished in the best traditions of modern, eclectic country. Fireplace in this case, in addition to the basic functionality, also performs the role of screen, partition for zoning of large spaces. 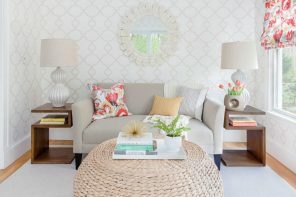 Furnish the living room is made in soft, pastel colors, bright elements are mainly textiles and upholstery. Warm and comfortable image of the rooms have managed to create through the operating fireplace. Clear and concise, at first glance, situation in the living room, is very bright and contrast where modern technology is successfully integrated into the interior with a bias in the retro style. Each item in the living room with an incredibly high ceiling can be regarded as an art object. 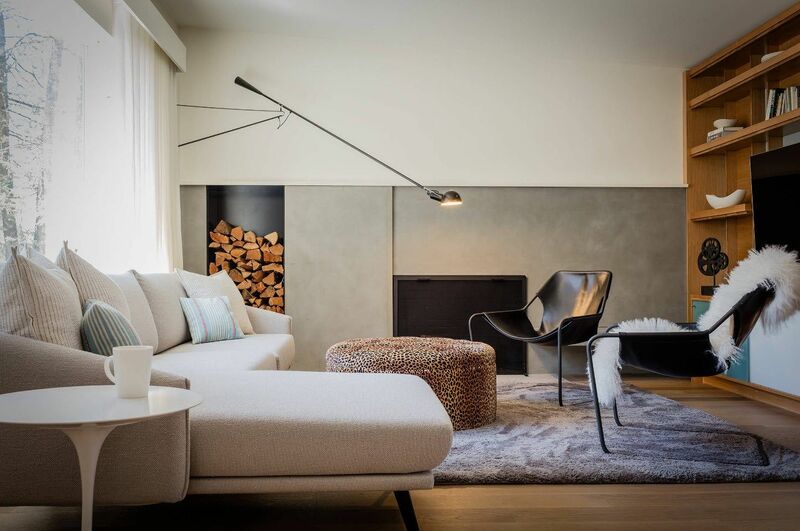 Textured seats with contrasting colors, a chic leather couch of active color, mirror hanging lamps and the similar tables that act as coffee tables, wall lamps, stylized street lights and, of course, the modern fireplace – all these works to create an individual design. Yet another example of how you can create an incredibly convenient and comfortable museum of art objects in their own home out of the ordinary living room. Each piece and component of the interior can be viewed for hours. which alone is worth a fireplace, stylized as a huge furnace. The incredible diversity of textures, shapes and colors are not shocking, but a genuine interest. Very often, the owners of apartments or houses are trying to arrange the reading corner in the living room. In this case, you must take into account not only the racks or cabinets for books, but also the appropriate lighting for different times of the day and, of course, comfortable soft zones to sprawl with a favorite reading in a hand. Bookcase, among others, can perform the role of the space limiter, if the room is spacious enough. Bright and expressive living room with reading corner looks memorable. Not only works of art on the walls are interesting, but also unusual design is a key element of the chandelier, where the classic glass parts is adjacent to the futuristic form. Bright carpet printed as the British flag, adds the individual style to the room. Organic and competent use of sophisticated shades of purple and lavender flowers is quite difficult, especially in a glossy surface finishing. But it was successful in the interior of this living room thanks to the metered dilution of the warm color palette of beige hues. Nontrivial upholstery became the highlight of the living room design. In the light, whitewashed color gamma of the living room, bright decorations look more representatively. Even the spine covers of the books may be the subject of decoration, in addition to their primary function. In the interior of this living room were used calm, natural colors, thereby creating a pleasant, unobtrusive atmosphere for relaxing and reading. Interesting decorations bring some variety and interest in the situation room. Surprisingly harmonious possible to combine seemingly incongruous subjects: the ottoman with floral print and leopard print carpet, curtains with polka dots and floor with a checkerboard pattern. And adding to all other also a yellow table with decoupage and mirror in carved frame – we got more than eclectic interior. 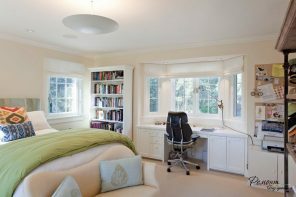 And in this bright living room with an unusual semi-circular passage to the kitchen, reading corner is rational and practical. These open shelves can be performed independently from the blanks sold in large DIY stores. The focal point of this room is the contrast ceiling with a monochrome finish. Such a “weight” of decor can accept only light walls and neutral color floor. Where else if not in the common room you can afford the brightness and variety of colors? 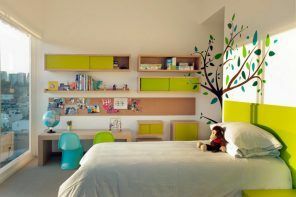 It is difficult to let the active bright colors in the bedroom, for obvious reasons. Utility premises, usually being given only individual bright elements of the decor. But in the living room you can afford to experiment and daring design techniques. Our following selection of nontrivial interior room For creative people, lovers of saturated colors, bold innovators and active people. It will be definitely not boring in this living room. The variety of colors and textures is fascinating and inspires positive. 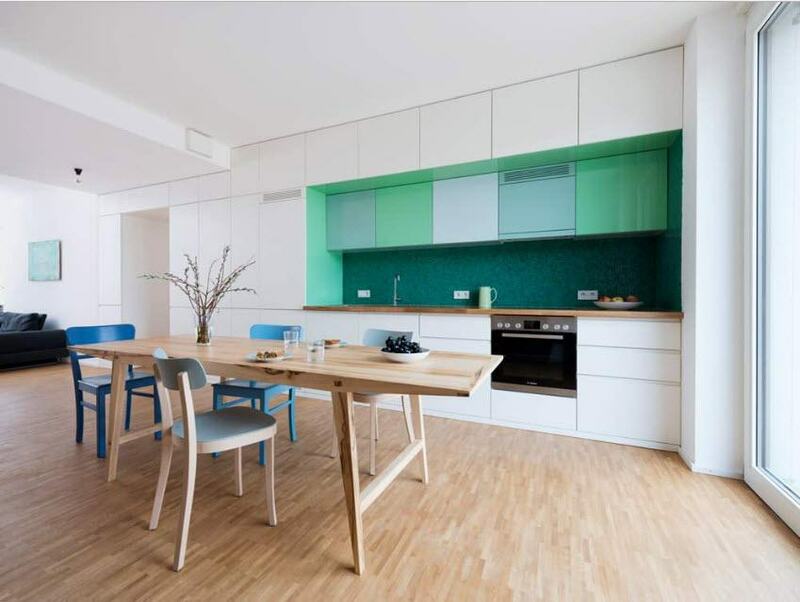 Despite the many vibrant colors in the design, the room looks harmonious by repeating tones in different planes and objects. The room looks bright, even in its finish and dominated by white tone. Active color carpet, furniture and decor, as well as textiles set an intense atmosphere of positive living. 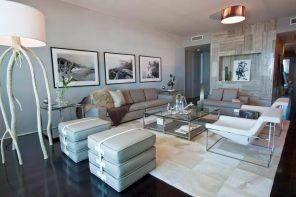 At first glance it is difficult to call it a living room, in the traditional sense of the word as “room for the whole family.” An extraordinary ambience with a bar and chairs, plenty of items made of stainless steel, street decorations and unusual textures creates a truly nontrivial interior. Let the rainbow in your home. Even diluted with white as these saturated colors look bright. Built-in shelves with arched niches adds room personality. 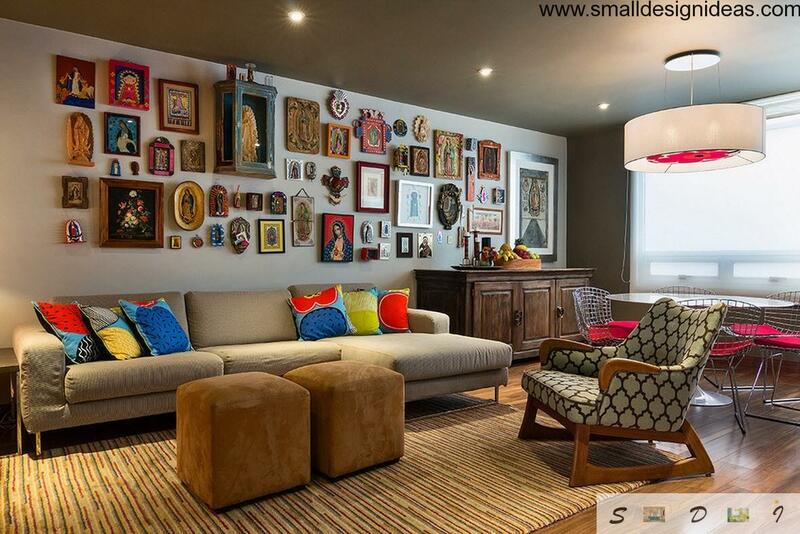 Bright and contrast, the small living room, meanwhile, is incredibly practical and rational. Nothing is too much and everything`s enough. 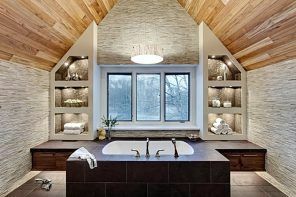 For many homeowners it is a guarantee of success in the overall room interior. This room, located under the vaulted ceiling of the attic, is full brightness. Warm and cozy atmosphere created by the active use of various types of wood in the decoration, diluted by natural shades of textiles and decoration items. Where to use carpet with active colors and cushions to match them if not in the living room. Shiny surface of the “coffee table” became the center of attraction in this enjoyable space. This soft, in every sense of the word, living area located in the attic space. Practical use of all the available square meters led to a warm and cozy room under the wooden roof arches in an incredibly comfortable and bright couches with pillows. Dark wood on a background of bright decoration of the room looked contrasting and expressive. Bright decor items and textiles contribute to the creation of a pleasant atmosphere and animating living. Bright and contrasting living room with a mixture of elements of the French Provence and Modern is incredibly cozy and unusual. This incredible living room with wooden walls and high ceiling perfectly complements the stained glass windows, colorful soft furnishings, textile coloring active windows and pillows, table lamps and unusual elegant chandelier with an abundance of glass elements. Jolly and interesting situation looks as regal luxury. This room is the living room with incredible moldings on the ceiling is a vivid example of how the finished project design in light and soothing colors to make visible and appealing with just a few bursts of vibrant colors. Unusual lamps, colorful cushions and chairs, stools and picture with backlight turned the situation room. Our next collection of images of bright and unusual spaces for those who would like to put a pool table or air hockey, a grand piano or harp in the living room. The abundance of bright and saturated colors, styles and elements, textures and sizes in a single room, making its interior ultra-extraordinary and interesting. Playground in the living room, located in the attic, is a logical and rational use of space. The spacious room let to create a place for active and passive recreation. The white surface of the walls and ceiling, bleached parquet and bright accent element in the center of the living room reveal all arguing about the destination of the room. In conclusion of our publications, we would like to share with you some unusual living room interiors, which are capable of optimism, inspire and serve as a prototype for creating your own design masterpieces. Thanks for being with us!